The number of celebrity endorsed headphones has risen exponentially in the past few years it seems. It all started with Dr. Dre and his line of Beats headphones that had their distinctive unibody style and the letter “b” embedded on each of the ear pads. Following on his heels was another rapper, 50 cent with the SMS series with a stylized “S” on the side of the ear pads. 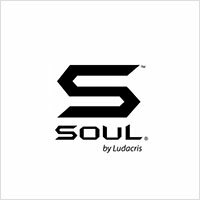 SOUL by Ludacris is also in the same line with unibody, stylish design and the letter “S” as well as the word “SOUL” engraved on the ear pads, possibly to distinguish it from the SMS line. There might be several similarities in the line of the headphones from Beats and SOUL, but with one important difference – the headphones work even without the noise cancelling engaged – that is, without batteries! The build quality of these headphones is uniformly good – considering the fact that these are celebrity endorsed; we would be quite surprised if they fell apart very easily. The pricing is also quite well done, with none of the headphones crossing the $400 mark and thus making it look super luxurious. Additionally, some of the headphones also have a tactile button that turns on the LED outside the symbol of SOUL to make it look a little cool and funky! With regards to the packaging of all the products, the company has gone all out to make sure that these have attractive packaging to complement their attractive looking headphones. The beats are quite heavy with all of them, but they do not muddle out all the sounds in the other frequency ranges, and thus they are not as bad as the thump heavy Beats series. Chris “Ludacris” Bridges, the hip hop sensation joined hands with Soul Electronics to devise and design his own set of headphones. He started quite late compared to the others in the industry, but came up with a small series of headphones – SL100, SL149, SL199, SL300 and SL150, with the 300 being the top of the line. The SOUL SL300 is probably one of the few celebrity endorsed headphones that actually packs quite a punch with its sound. It is a comfortable sounding pair that has an excellent amount of noise cancellation that blocks out ambient noise to the point of you dozing off comfortable even at the tail end of an airplane. The sound of the SL300 is also pleasantly balanced, appealing to a wide variety of users across the spectrum of music lovers. The treble response is chirpy and pleasant while the midrange is smooth and dreamy. The bass is a little more powered up than the other responses but that is to be expected from a hip-hop focused brand. As compared to the competitor brands, the SOUL headphones are quite soulful, if you can pardon the pun. 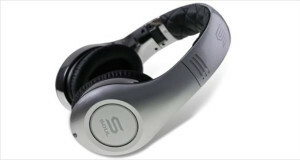 The SL300 is also better designed, than say the Beats Studio series with which it directly competes. This high quality of engineering from a low-key celebrity endorsed headphones is not very often seen.